So, starting with weight, with it's light weight VALT spring it's around 300 grams heavier than the DB Inline, but 200 grams lighter than a DB Coil with regular spring. It's a very different feeling shock to the DB Inline (Cy's usual shock of choice). With our usual base settings it moves a lot more, with the sensitivity off the top really noticeable. Sam can't believe the sensitivity of this shock. 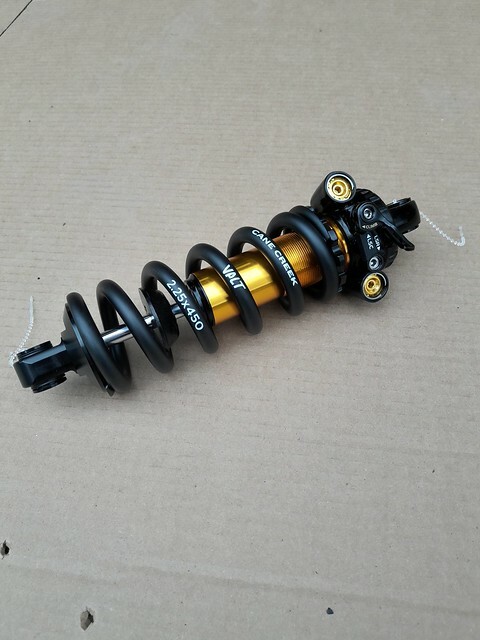 Due to the lack of progression on the spring rate, it does use it's travel a little more easily than the air shock. This is easily sorted by adding an extra turn of High Speed Compression damping to slow it down at the end of the stroke. As we only usually suggest 1.0 turn from lightest setting for HSC, there's plenty of scope to keep things under control. The other differences are High Speed Rebound range, which is different to the Inline. Where we use 3.0 turns of HSR on the DB Inline, you need 2.0 turns to get the same feel from the Coil IL. The other nice difference in setup is that the Climb Switch is more aggressive. It's still not a full lockout, but given how incredibly supple the Coil IL is, it's a welcome change to calm the shock down on smoother surfaces. In other news we have an offer! 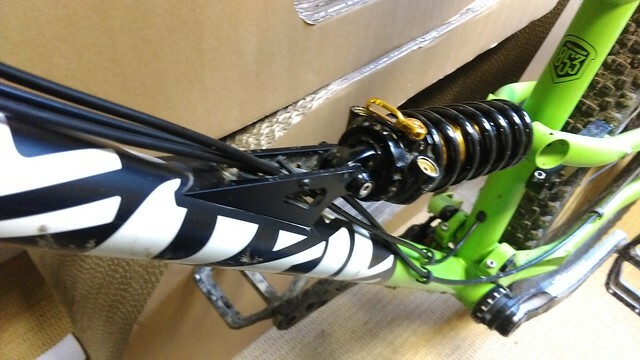 Any Cotic bike ordered can get a Joystick 50mm stem upgrade worth £50 for free! Lovely looking CNC goodness, and saves a few grams over the Race Face 50mm. This offer ends 31st March 2017. The other item is a new option; we have Spank Spoon bars in stock. They're 780mm wide and 25mm rise, with a great shape. We have them in Black or Orange (!!) 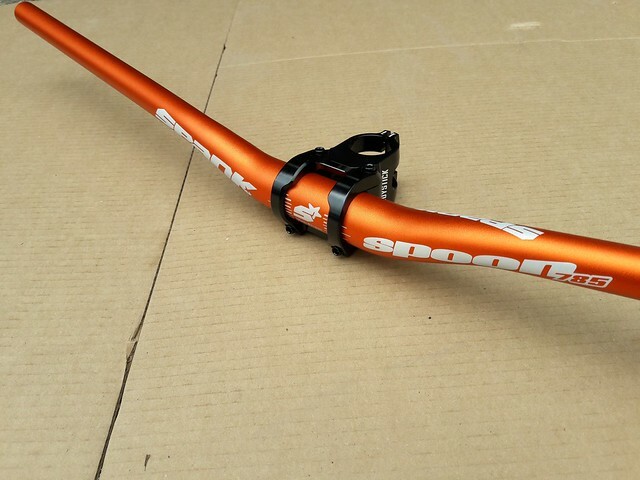 We think these will look amazing on a gunmetal FlareMAX, or one of our orange or green frames. No cost option on any of the bike builds.